Not only is this question one of the ones I get most frequently, I'm pretty sure it's the very first question a reader ever sent me, not long after this site went live back in early 2008. And I've certainly learned over the years to take the world as it is, not as it should be. Still, I feel it's my solemn culinary duty to do what I can to help banish, once and for all, the brutal and unnecessary practice of refrigerating butter. If I accomplish nothing else as a food writer, I'll consider it a worthy achievement. Salted butter will keep for weeks at room temperature. But realistically, if you don't go through at least a stick of butter per week, you're 1) not cooking right, and 2) probably not reading this article because you don't care about butter. 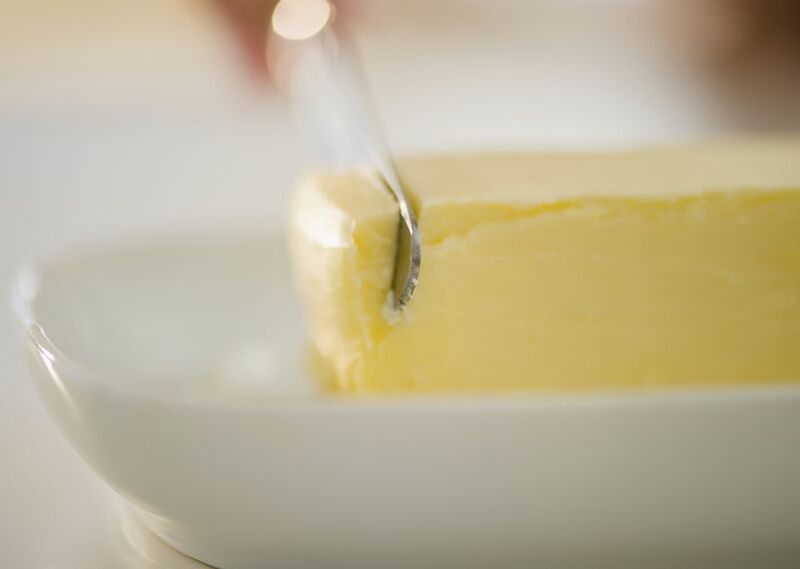 As a matter of fact, certain kinds of baking (like making flaky pie crust or puff pastry) require cold butter. So depending on what goes on in your kitchen, you're going to want to keep some butter in the fridge. All I'm talking about leaving on the counter is the butter that goes on your toast in the morning. Which is also why I don't advocate letting your butter sit out all day, returning it to the fridge at night and then taking it back out again first thing in the morning. Because when are you most likely to eat toast? The morning. Therefore, when would this system tend to be the least helpful? Exactly. Oh, and you'll thank me for this: If some well-meaning knave should happen to put your butter in the fridge without your knowledge, and you learn of their foul deed only after your bread is already in the toaster, well, fear not! You can grate your rock-hard butter on a cheese grater, and the little butter gratings will spread much more easily.